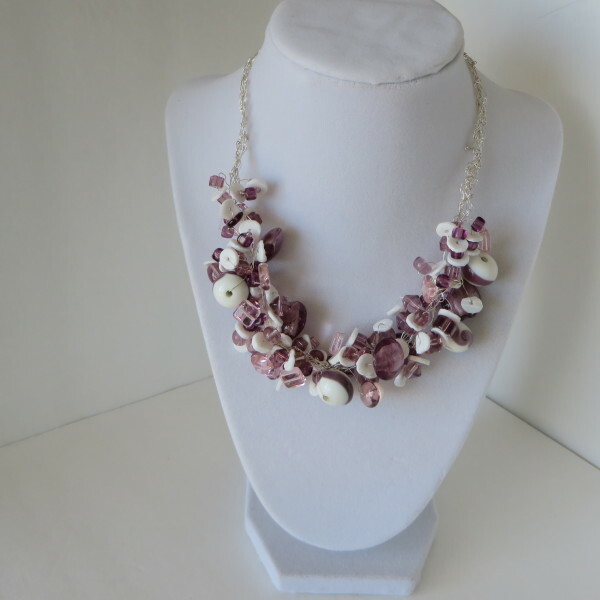 Pretty in pink and purple! 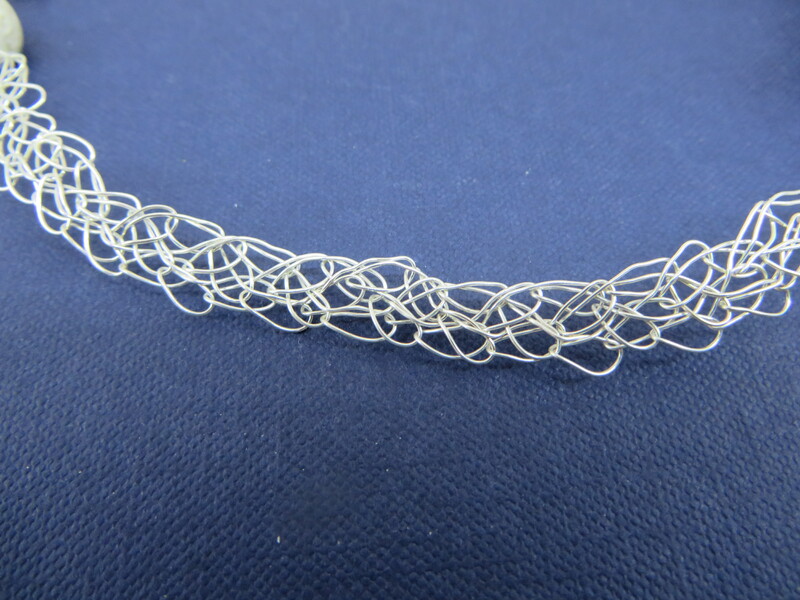 This 16 1/2 inch necklace has a 3 1/4 inch extension and is constructed with multiple strands of crocheted non-tarnish silver wire. 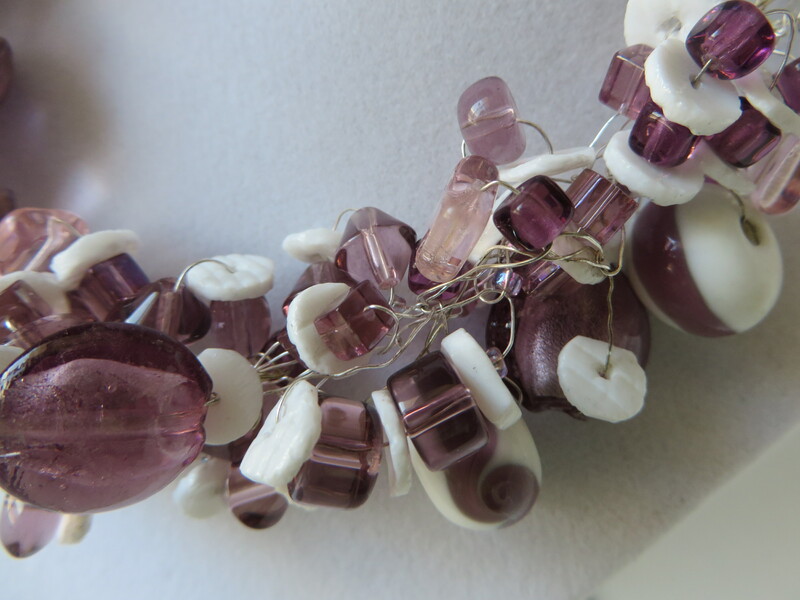 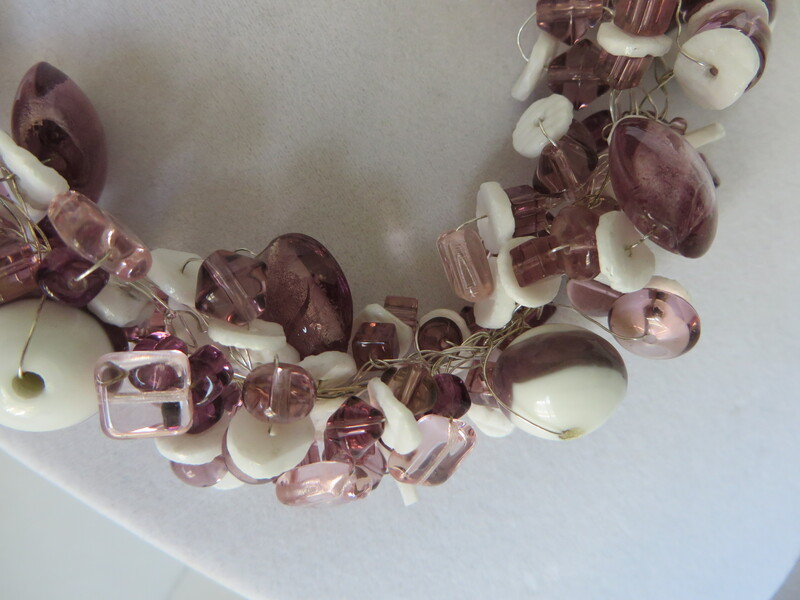 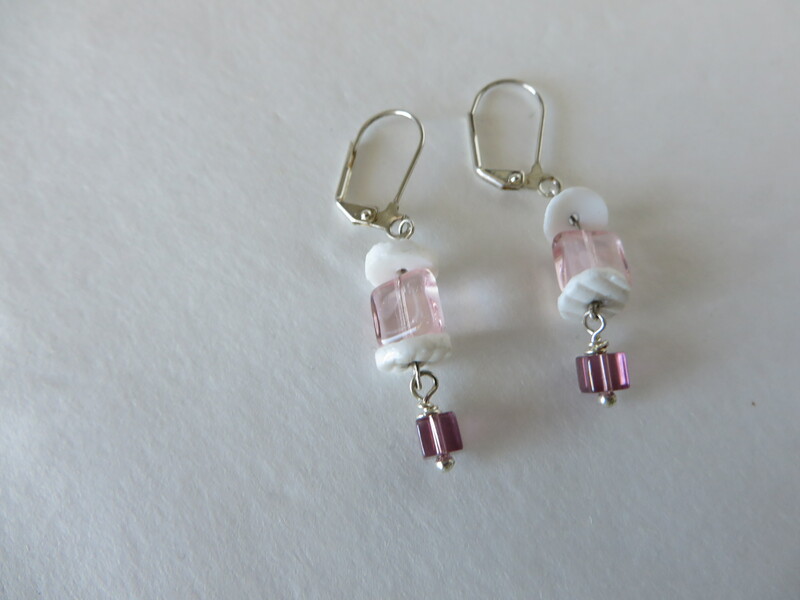 It is a one-of-a-kind piece made with light purple beads, light purple and white beads, pink crystal squares, and white shell chips. 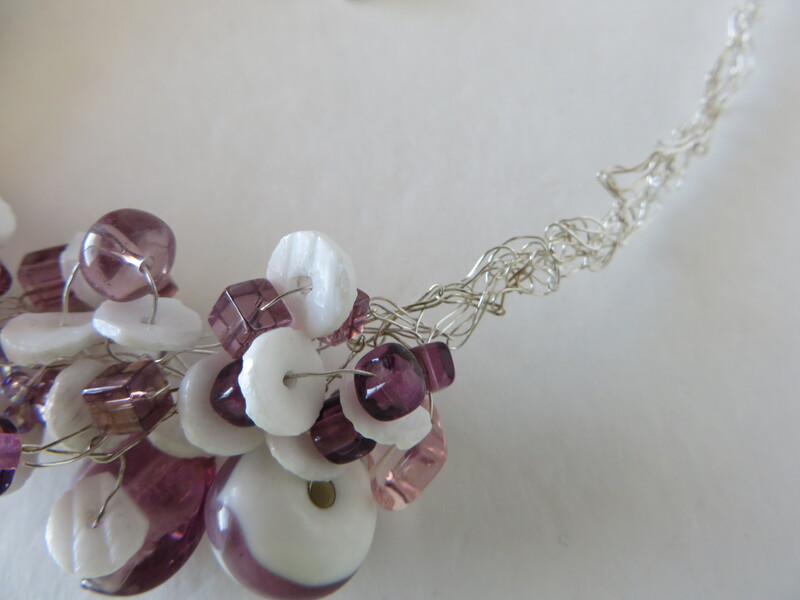 It is finished off with a lobster clasp. 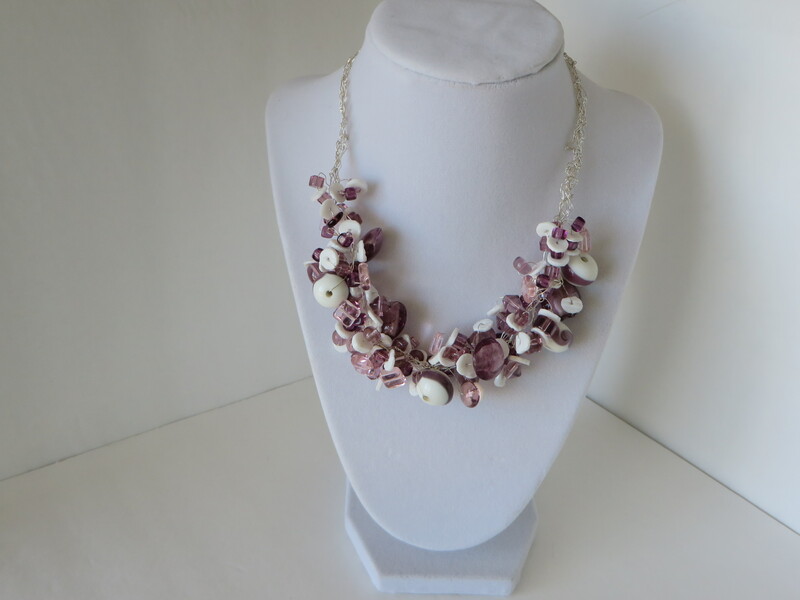 This could be worn with jeans or with a dress for a more elegant look!